Hiring? 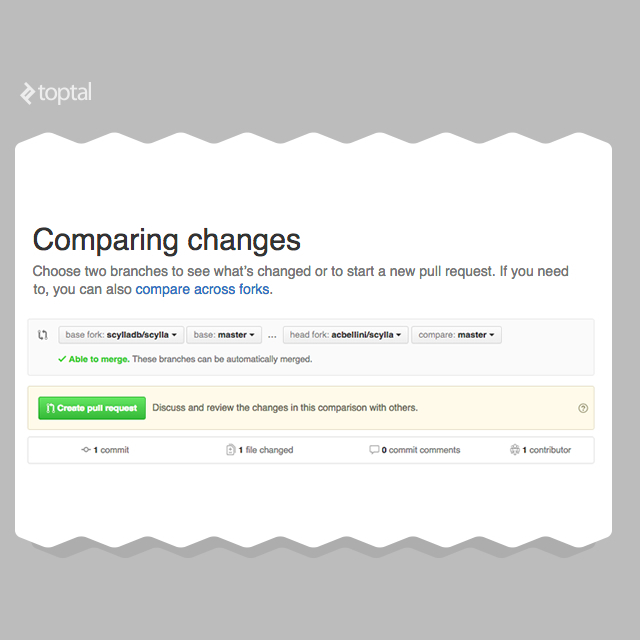 Toptal handpicks top Open Source developers to suit your needs. When Anna started coding at a young age. Since then, her career has spanned many different projects and programming technologies. The following was posted in advance of the launch of Toptal Scholarships for Female Developers. 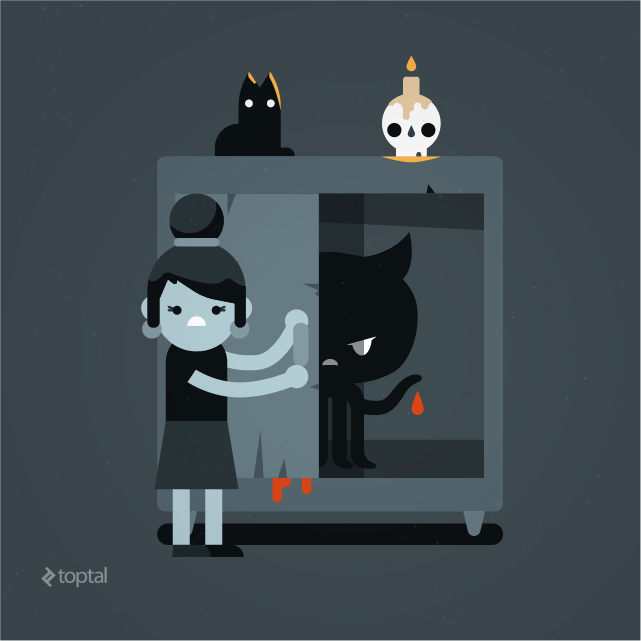 At Toptal, we recently had some interesting conversations on how much women contribute to open source and what may be preventing them from contributing more, so we have investigated the matter. Having been part of that conversation with Breanden Beneschott and Bozhidar Batsov, I got wondering: Bozhidar is one of the top open source contributors on GitHub. Where am I? If you check my public GitHub account as of today, it is mainly small test projects that I used in class for my students. They are half-baked, and definitely not representative of my skills or expertise. (You will have to take my word on this.) If someone were to consider hiring me based on what they can find in that account, I guess I would have a hard time making a living. Still, I have been a professional developer for more than 20 years, and in my everyday job I’ve been using more open source software than I care to remember. Over time, I have hacked the Linux kernel to bend it to some specific need, tweaked every router and NAS that I bought, patiently waited for months in the Raspberry Pi waiting list to get my hands on it and get my home-made domotics as I like it. Still, none of these tweaks and tests ever made it to my GitHub to become open source. Also, aside from fixing a bug in one of the first versions of Tomcat, I never contributed to an open source project. Curious, isn’t it? Also, find out what the project’s major language is; you can see the language statistics in the top bar of the main project page. Take some time to read the tone of the discussion, see how friendly and educated the comments are. Some projects are infamous for their aggressive communities, thus they may not be the right starting point. This may be trivial, but at the moment, for the ScyllaDB project, I am Ms. Nobody; it would be risky to allow me to make changes to their code without supervision. What I need to do is create a “fork” in my own GitHub account. Here is my ScyllaDB fork. It is my own playground where I have access to all the code, and I can modify the files as I wish. 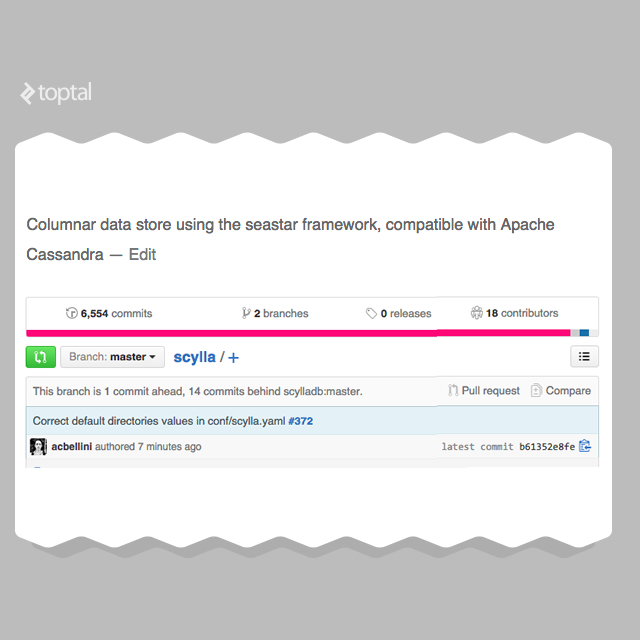 If I wanted to create my own version of ScyllaDB and tweak it to do something completely different than its original purpose, I could do so here. Creating a fork is simple; go to the project’s main page and click the “fork” button. Not scary at all. I am not a developer. I am a HSE officer. I have an idea to make open source software for occupational health and safety. Anyone like to support me to make an open source software for EHS? Great article. In my personal experience, getting support for developing OSS has been really hard. You usually don't get support from the company you're working on. Even when I used to have my own company, I didn't get support form my partners. It would be great if Toptal promotes OSS development in some way (just an idea). 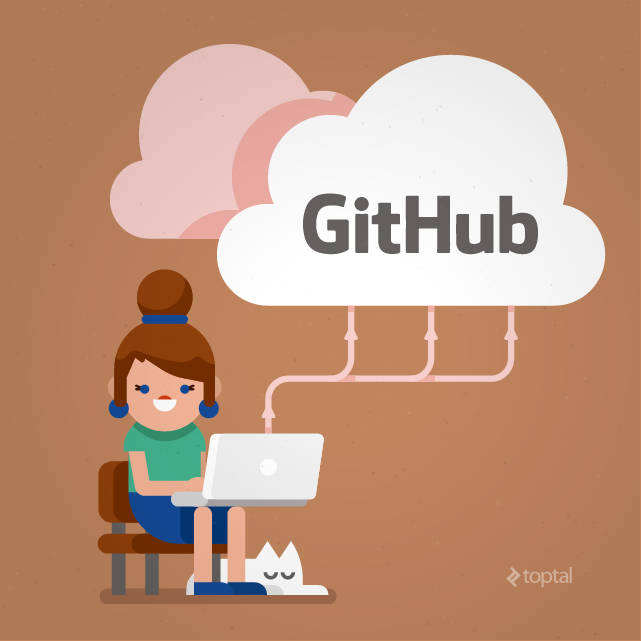 Have to admit still think GitHub was a Halloween prank that went wrong (badly) and has inflicted pain on a generation of developers. Even the name sounds evil - actually referred to here as GitHell - we try to avoid going there by being nice to each other! Hi Anna. We (from ScyllaDB) would be delighted to have you around! Note that a lot of our discussions take place in our mailing list outside github. You are welcome to participate, and don't shy away from asking any questions if you need to! Hi Tarik, I checked the discussion in that pull request. Despite the fact that it didn't go through, there is a lot of value there, it shows very clearly how interaction can go in a large OSS. If I were you, I wouldn't be discouraged by that at all, it's great! And it shows very well your way of working, good job there! Hi Glauber, cool! I will definitely join there very soon, the project is exciting and fresh, looking forward to working on it in a more substantial way! Trolls are all over, and that's precisely what makes the process scary. But if polite developers start pushing back, the battle against trolls may not be won, but at least we'll have better communities and ultimately better software. If you have suggestions on how our community could support OSS, we are open to listening! With so many talented developers, we can do powerful things! Sure, let me think about it! Thanks, Anna for the support. Not literally discouraged, but upset with how some important features get overlooked intentionally by the community, despite all the needs for such feature. Anyway, making something usefull is the end objective, and getting such feedback of persons how really need it (See here : https://github.com/acigna/jquery-ajax-native/issues/1), make you feel grateful. I am planning to write some articles on the stuff and related to it here in Toptal to make the plugin better know, after getting my research article published. The work is related to the research work. This is lovely written and very encouraging, thanks fort the great ideas on how to start.. A small contribution might sit well if everyone is focused on bigger issues. I will give it a try. Hi Francisco, thanks for the question. Often a project has dependencies on other projects, it's code that is needed to build your project at hand. Think of them as included libraries. 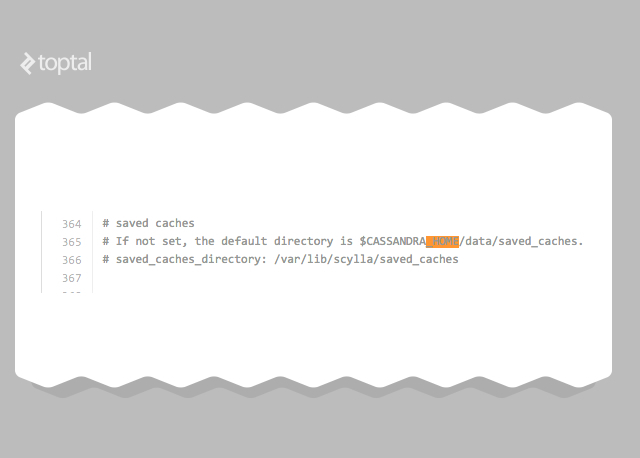 If the dependency is on another project of the same organization, the build command expects to find it in the current organization, but when you fork a project the local context is no longer the original organization (Scylla) but your account (acbellini in my case). For instance, it will not look for /Scylla/scylla-ami but for acbellini/scylla-ami. Hi Jose, let us know how it goes! It was really an inspiring article, and really helpful too! Great article,Thanks for sharing this information. Hi Barbara, glad you like the post and you found it inspiring. If you want to know more about girls in development, there are several resources you can find online. Search for "Girls in tech" "girsl who code" "ggd (girl geek dinner)" ... just starting points! Ooops! Thanks for the catch!